A fresh police investigation into one of the most notorious sectarian mass killings of the Northern Ireland Troubles has led to the arrest of a 59-year-old man. The arrest on Friday follows a breakthrough by the Police Service of Northern Ireland in their historical inquiry into the Kingsmills massacre in which 10 Protestant workmen were shot dead in 1976. At the end of May this year the PSNI said they had made a potential DNA match regarding a palm print on the getaway vehicle used by the people behind the murders. Although the organisation has never admitted responsibility for the atrocity, the IRA is widely blamed for the attack during which the killers freed the only Catholic man on the workers minibus before gunning down his colleagues. Their minibus had been stopped on the Whitecross to Bessbrook Road at Kingsmills in South Armagh by a man who had an English accent waving a red light. The victims, according to one of the survivors of the massacre, believed at first that the man was a British soldier. The gunmen, who were hiding in hedges, ordered the workers to leave the van and then questioned them about their religion. After allowing the Catholic worker to flee, the IRA unit then opened fire on the Protestant workers. The revelation about the palm print was made during the first week of a long-delayed inquest into the Kingsmills atrocity this year. The man the PSNI arrested on Friday is from the Newry area of South Armagh. The Newry and Armagh Ulster Unionist member of the Northern Ireland Assembly, Danny Kennedy, who worked closely with the Kingsmills families for an inquest, welcomed the arrest. He said: “The families and sole survivor have waited 40 years in their pursuit of maximum truth and justice for this brutal and barbaric crime. A new full inquest is to be held into the IRA massacre of 10 Protestant workers shot dead in South Armagh in 1976. 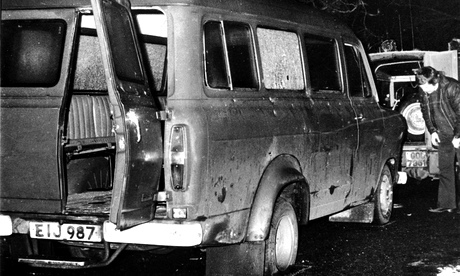 The men were taken out of their minibus and then riddled with bullets at Kingsmills. Their sole Catholic colleague was spared because of his religion. Although the Provisional IRA never publicly admitted it was responsible, victims' campaigners, republicans and politicians blame its South Armagh Brigade. No one has been convicted in relation to the deaths. The Historical Enquiries Team – the police unit tasked with investigating unsolved past crimes from Ulster's Troubles – has also laid the blame for the massacre at the Provisionals' door. Northern Ireland's coroner, John Leckey, said on Wednesday that the inquest would begin on 1 June next year. One of the key witnesses will be Alan Black, who survived despite being shot 18 times. In previous evidence, the former textile worker who is now 70, said the gunmen went around the vehicle asking each man his religion before they began firing, only releasing the worker who was Catholic. The atrocity was carried out on 5 January 1976, 24 hours after six Catholics were killed by loyalist paramilitaries in South Armagh. A group calling itself the South Armagh Reaction Force admitted responsibility although survivors and their supporters always insisted PIra activists who were behind the killings. A number of the relatives of the 10 men have claimed one of the gunmen that night was Raymond McCreesh, an IRA prisoner who died during the 1981 hunger strike in the Maze prison. Republicans have denied McCreesh was a member of the unit that killed the Kingsmills workers. 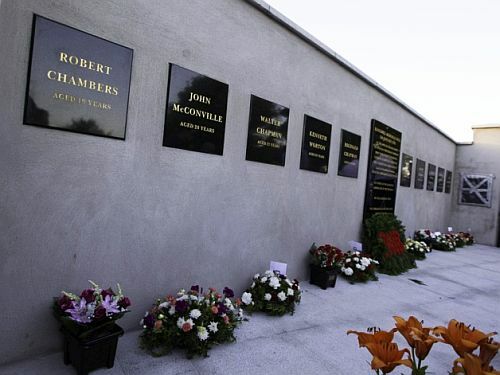 Memorial Wall in memory of all those who lost their lives in the Kingsmills Massacre. Families of Kingsmills victims will today attend Belfast inquest court for a preliminary hearing into the deaths of 10 men killed in an horrific roadside shooting. Sole survivor of the massacre, Alan Black, said he is “very relieved” that it has finally got to this stage. He said the inquest into the deaths is “long, long overdue”. The first inquest into the atrocity was held in 1977. No evidence was heard and an “open verdict” was recorded. In June 2011, a HET report brushed aside all excuses that the IRA had not been responsible and said the murders had been “pure sectarianism” and “appalling savagery” which had been planned for some considerable time before being carried out. Karen Armstong, 56, whose big brother John McConville was murdered, said she started to push for the inquest independently “more than a year ago”. 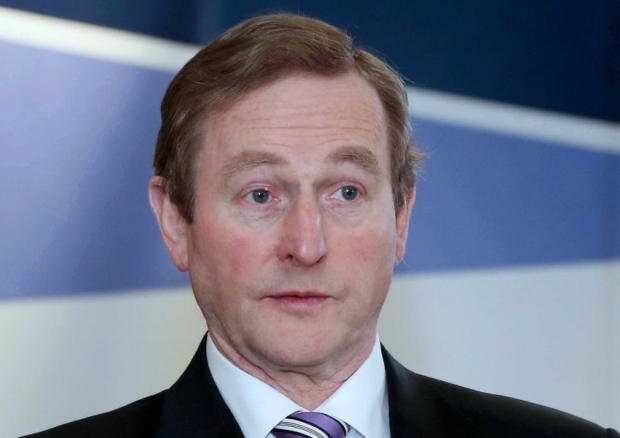 “So we contacted the attorney general and corresponded with him for a couple of months. I am the oldest sister, having lost our parents, so I felt we could not go through the rest of my life not doing something,” she said yesterday. Mrs Armstrong said her family “loved my brother John so much and had such respect for him”. “John was 20, the oldest, and would have been 58-years-old now,” she added. UUP MLA Danny Kennedy, who has campaigned for the reopening of the Kingsmills inquest, added: “I expect the inquest to be formerly opened tomorrow morning and the coroner will indicate the information he needs to proceed. Victims’ campaigner Willie Frazer has also been heavily involved in helping Kingsmills families fight for a fresh inquest and justice. “Monday’s preliminary hearing is just the first step in the process of addressing that unacceptable situation,” he said. On January 5, 1976, just after 5pm, the Kingsmills massacre took place in south Armagh. Gunmen stopped 12 workmen travelling home to Bessbrook from a textile factory in a red minibus, lined them up against the side of the road and shot them. One Catholic workman was pulled from the line-up and asked to flee the scene. Then the gunmen opened fire. One of the men – Alan Black – was shot 18 times, but survived. He is now the sole survivor of the atrocity. The men who were murdered on the roadside were: John Bryans; Robert Chambers; Reginald Chapman; Walter Chapman; Robert Freeburn; Joseph Lemmon; John McConville; James McWhirter; Robert Samuel Walker; and Kenneth Worton.